I find no value in the Apple Watch. I think that computing should be done from proper computer, and not an iPad or iPhone. Focusing on the iOS and social integration into Mac OS X instead of more pressing matters (Like a new File System, or simply some bug fixes!) is a mistake. This most recent announcement just about seals it though. 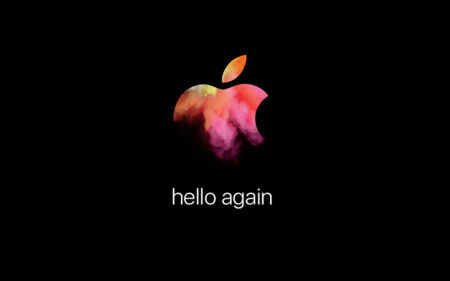 The advertisement for the event featured the words “hello again.” For loyal Apple customers, this phrase has significant meaning, as it was central to the marketing that marked the rebirth of Apple with the introduction of the iMac by Steve Jobs. When they used this phrase with the iMac, Apple was referencing an even earlier product that marked a significant shift in computing in the 1980’s. 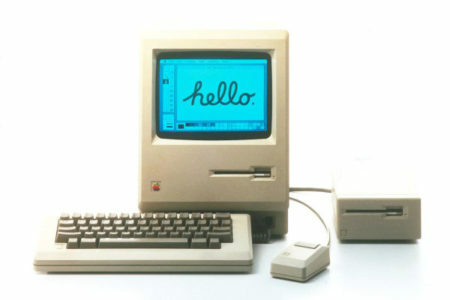 The original Macintosh. 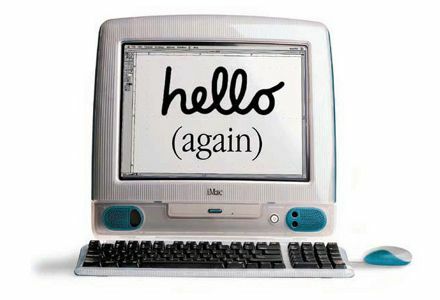 The first promotional shot of this computer-that-changed-everything had the playful “hello” welcoming user’s to its new graphical user interface. Apple set up the long-time fans of Apple for something revolutionary. Something that would be amazing, and something most-certainly to do with the iMac, which is frankly Apple’s core product. It is the emblem of Apple and their revitalization in the 90’s. 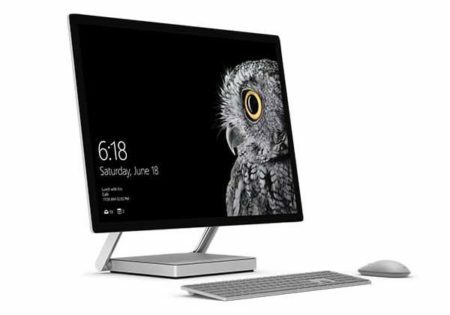 They had to know those words would make us expect an iMac announcement; especially after Microsoft’s announcement the day before, featuring the iMac like surface computer that works like a tablet. But instead of updating the iMac (or the MacMini or the MacPro…), they spent the majority of the time lauding the new MacBook Pro computers. Touch id for logging in is a cool and novel feature. Overall, it felt like a very weak press conference. It’s clear that they just don’t care about the desktop user. They want to appeal to young on-the-go people and their wallets. Additionally Apple has been slowly killing useful features from their laptops for quite sometime. Here’s a brief list of the once common features that I wish were still present. IR Reciever -Useful for presentation where you don’t want to be worrying about Bluetooth, or wifi connectivity. Also nice for playing movies if you use your Mac as a TV. Magsafe Adapter – One of my favorite features to disappear. It has saved my laptop many times! Glowing Apple – Not useful per-se, but definitely symbolic of Apple’s soul for the last decade! No More Displays, No More Desktops? 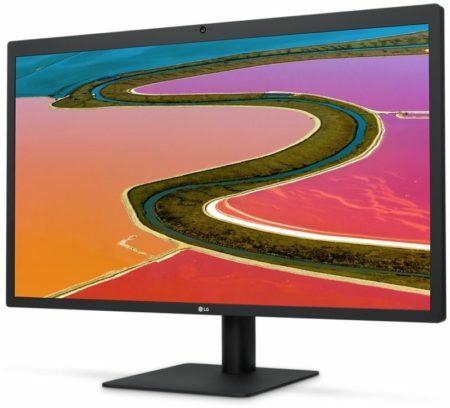 Another nail in the coffin for the desktop line is the fact that they endorsed an LG display for use with MacBooks. 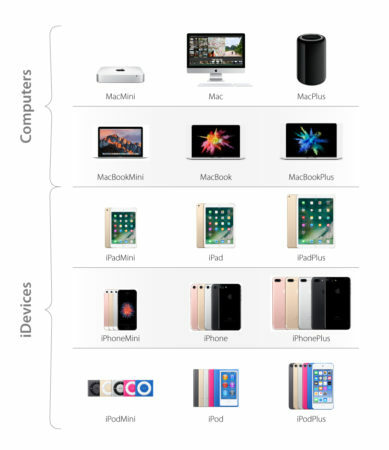 To me this signals that Apple will shortly discontinue the MacPro and MacMini line of computers. Apple tends not to use other company’s products in promotional shots and advertisements. The only two products without screens no longer have an Apple-branded screen to showcase and buy (and this screen certainly doesn’t exactly scream Apple). I don’t think this bodes well. Tangentially, their whole ecosystem has been very clumsily named lately. (Another problem reminiscent of the 1990’s Apple). They have Airs, Pros, Minis, and other dizzying designations that aren’t consistently used. What makes a Pro a Pro? Why was the MacBook smaller than the MacBook Air? 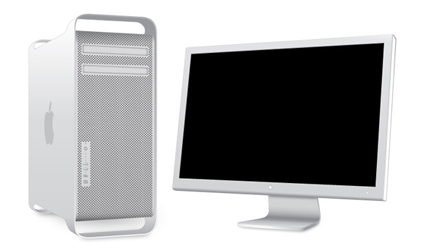 Why is the MacMini not called the MacAir? I hope Apple realizes that the Professional and Enthusiast users are important. For the last 30 years, the enthusiast and pro-sumer market has been Apple’s evangelists. This market would convince friends and family to purchase Apple products. If Apple Alienates these enthusiastic individuals, it could end up hurting their sales in the long run. As for myself, I just can’t get excited about an Apple product until they release a decent desktop machine. I’ve been sticking with Adobe’s CS5 for quite a while now. I had planned on upgrading when CS7 was released… However Adobe decided to go with the cloud-based option, and I’m not ready to have another monthly-fee to worry about. At any rate, my plan of sticking with CS5 was going just fine until El Capitan came out. 3 (interrelated) problems arose which made using Adobe Illustrator less than ideal. Since the preferences never get updated, certain settings would need to get changed every time I opened AI. As I went deeper, there was another popular suggestion: Downgrade to Yosemite if you are too cheap to upgrade to the newest Illustrator. While that would resolve one problem, it would introduce other issues. Yosemite no longer receives all of the security patches that come with El Capitan. Apple only pushes them out to the newest OS unless it’s super-critical. I’m not willing to give up security for this minor of an issue. Finally, after wading through multiple pages of this post, a user produced a tip that amazingly solved the issue. This resolved the issue. I’m annoyed that it wasn’t marked as the thread’s solution to the problem, as it is (in my opinion) the best solution to the problem. 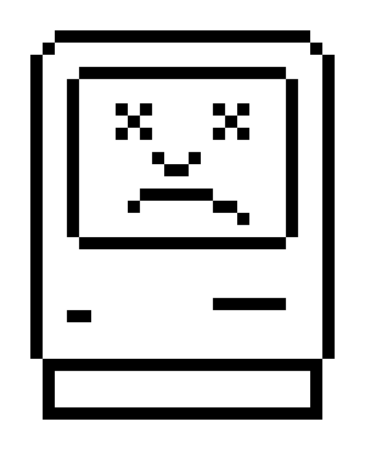 Illustrator is now working again as it always had before upgrading to El Capitan. I hope that this helps someone else who is having a hard time finding the solution to this annoying issue. Consumer: People who wants something that will get them online, print documents, and just work without any hassle. Enthusiast: (AKA Prosumer) People who like to buy professional products, enjoy tinkering, and dabble in the occasional professional-level project. Professional: People who legitimately needs power for rendering, computing, and getting things done on a daily basis. I’d put myself in the enthusiast column. I don’t do tons of 3D renderings, or giant Final Cut projects, and I don’t game. I do occasionally encode videos, CAD, and do lots of work with Adobe products. I certainly don’t need a top of the line machine, but I certainly enjoy having the best! Computers are expensive. At least, they have been historically. For those of us who like Macs, they still are! Sure, the MacMini will only set you back $600, but that’s not the category of computer I am interested in. 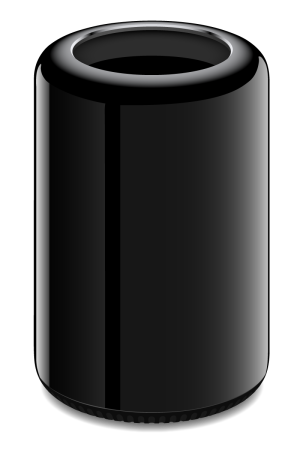 The Mac Pro (and the Power Mac before it) is the line of computer that enthusiasts and professionals have loved owning. To do so, you have to be ready to be ready to part with beaucoup bucks! These machines costs thousands of dollars. For a point of reference, The current iteration of the MacPro is selling today at bargain basement entry price of $2999.00! In October of 2008, I convinced my wife to let me buy a Mac Pro. Not just any Mac Pro, the lowest-end Mac Pro they made. A quad core 2.8 GHz with 2 Gigs of RAM. All for the paltry sum of $2,200 (Which was actually a lot at the time since we were poor college kids). In order to spend the money, I had to promise that this would be the only computer I purchase for the next 5 years. I have been a huge proponent of the tower form factor due to the power, longevity, and upgradability. It’s now been over 7 years since that initial purchase, and I still use this computer every day. It’s still wonderfully capable. Over the years, I’ve been able to exploit it’s upgradability, and I believe I have saved a lot of money by doing so. You can see how steeply component costs go down over time. The additional CPU was quite costly just a year or so after the initial purchase. The price has since plummeted to the point that I replaced both CPUs for under $100. To test my thesis that the route of gradually upgrading a low-end high-end Mac is cost effective, I am going to compare against two alternative philosophies I’ve entertained and do a really quick and dirty, back-of-the-envelope comparison of hypothetical cost. The first alternative is to buy the biggest, best computer upfront with the intent of using it for years on end, and never upgrade it. The instant gratification of having the most up-to-date and fastest machine that Apple makes comes at a cost! Clearly this is not the most economical way to roll. And of course always remember to never buy RAM from Apple. The reason this is so much more expensive is because, as computers depreciate over time, so do the cost for components. So in order to have the goods up front, you have to be ready to pay a premium for cutting-edge hardware. Another philosophy I’ve considered is to purchase a more modest machine, but instead of upgrading components, upgrade the entire system every few years. The thought process is that you can sell the old machine while it still has value to offset the cost of the newer machine. Lets say that we replace the machine every three years. This gives the advantage of always being in warranty (assuming you purchase AppleCare). Based on evidence from a quick browsing of eBay, I will assume that a machine 3 years old will sell for about 1/3 of it’s original value (super rough estimation!). As you can see from this hypothetical, and very rough example, the difference in yearly cost to own an updated computer is about double of the approach of upgrading components. Perhaps though we should consider the performance difference between the current low-end high-end computer versus the performance of the upgraded 7 year old computer? The single core performance of the new machine is tremendously better than the 7 year old Mac. The multi-core performance isn’t significantly better though. There are obviously many other improvements, including GPUs, bus speeds, and SSD performance to consider as well. The question is, how much are you willing to spend? This is different for everyone. For me, I believe that there is value in upgrading and keeping products as long as possible. I am very happy with the gains I’ve been able to make over the years by performing gradual updates in order to keep the machine somewhat modern. There is no single right answer for everyone, but for me, this suits me just fine.